In order to gradually transform their passive factory into an Intelligent Factory, a well-known panel manufacturer, which supplies various sizes of thin-film-transistor liquid-crystal display (TFT-LCD) panels and touch panels was actively improving their factory’s production and management. By reforming its Nanjing factory in China it would act as a demonstration site before copying intelligent applications to other production bases around the world. In the past, the factory used manpower to manage all production equipment. Any equipment failure would need to wait until the operator logged the problem and arranged maintenance and repair. Also there was no detailed record of the machine status so managers were less aware of the production line situation, such as the status of the equipment. To this end, the panel manufacturer decided to take advantage of networking equipment and data acquisition to implement a production line monitoring system. Bycollecting the information of the machine’s three-color warning lights and adding counting and timing sensors, managers can master the production quantity and operating speed of each machine, while the collected information can be used as a basis for improving production scheduling and overall productivity. In addition to watching a machines status, the data needed to be sent to a monitoring station. However, because of the complex environment of the Nanjing factory, it’s inconvenient to have a wired network. The new solution was required to utilize the factory's existing wireless network system to gather and transmit the on-site signals to the management center. The wireless device had to be compact and easy-to-install to avoid occupying too much space. Since the work in process (WIP) passes through the workstation every 3 to 5 seconds, the wireless module responsible for collecting data must provide sufficient speed to acquire signals (accurate to 0.1 seconds). As for the software, the panel maker did not want to take too many human resources to develop system and preferred to purchase an off the shelf remote monitoring software which has guaranteed integration with the factory management software. 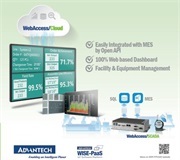 Advantech offers a production line monitoring solution with a simple architecture by combining the WISE-4050 IoT Wireless I/O Module with HMI/SCADA software WebAccess. In the production site, the multi-channel digital input/output WISE-4050 is in charge of connecting the three-color light and counting/timing sensor, and then wirelessly uploading the data to the system. In the control center, WebAccess immediately and dynamically displays the front-end information on the computer screen, so that managers can monitor the equipment status of the production line without the need to go to the scene of the problem, while the recorded data and the periodically generated reports can help users to analyze equipment utilization. The WISE-4050 is a feature-rich wireless module and its log function with an RTC time stamp is able to accurately handle more than 10,000 data samples. The internal flash memory can temporarily store data when network disconnection occurs, and can continue to upload the data after the network recovery without worrying about data loss. The counter function records the number of WIPs and allows users to calculate the time difference through software programming, thus evaluating the production efficiency. Supporting multiple communication protocols (including Modbus/TCP, TCP/IP, UDP, DHCP, HTTP, etc.) and RESTful Web API makes software programs or systems easily get the captured data. With its compact size (80 x 148 x 25 mm), the WISE-4050 does not take up that much space to transmit data without wiring. Providing DIN rail, wall and stack mounting options enables the crowded and complex factory environment to have a suitable on-site installation. Benefiting from browser-based WebAccess which supports a variety of desktop and mobile devices, users can remotely monitor anytime anyplace. 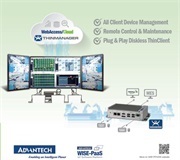 Advantech provides professional version with 600 tags to tie in with the scale of the panel factory, allowing users have sufficient access rights to view the production line monitoring system. In addition, Advantech offers customized software services for the client's special requests making this solution more in line with the panel maker demands. 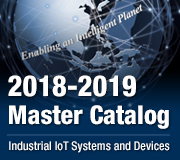 In response to the intelligent manufacturing of IoT era, Advantech's latest WISE-4000 series are not only wireless modules butalso data acquisition, pre-processing, direct upload and other features all rolled into one. Its variety of products can assist manufacturers who require rapid deploying intelligent factory applications to collect the underlying information and wirelessly deliver to Cloud platform or management system. 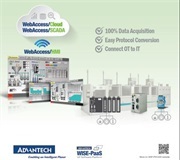 Taking this project as an example, through the multi-functional WISE-4050 and SCADA software WebAccess, Advantech's remote monitoring solution is able to downward link various devices and sensors as well as to upward link the existing manufacturing management system all because of supporting a variety of standard interfaces; moreover, it can ensure the correctness of the collected data and provide varied charts and reports. 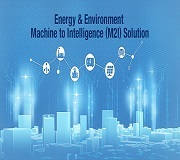 Since this integrated hardware and software solution is complete and worth more than its cost allowing panel maker to quickly implement the production line monitoring system in the most economic costs and convenient deployment method, the company will further use Advantech other products to fulfill IoT applications and improve productivity of all factories around the world.